Okay, I got hung up this weekend and didn’t have time to do a Saturday sketch, so this is a Sunday sketch from many years ago. 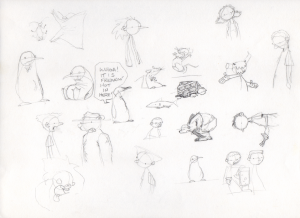 I still got tons of old sketches I did when I was still trying to come up with an idea for a comic strip. 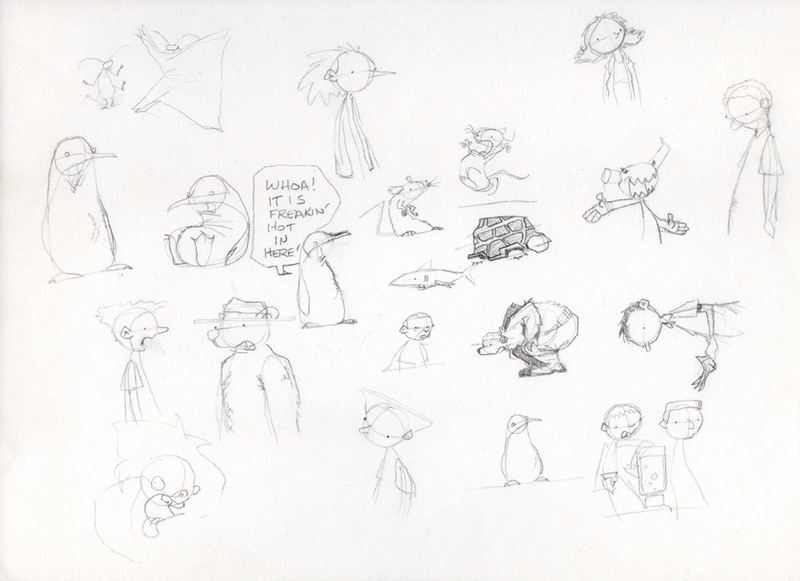 These two were from my “Maybe all animals” and “Maybe some dude in a suit” phases. 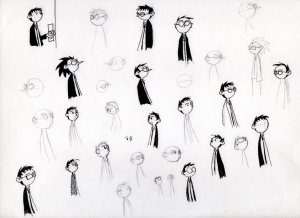 I’m still unsure if I’ll post all those old sketches here, or take the good ones and turn them into bonus material for a book – and before you ask, yes, I’m still working on book one. Also, I talked to Dan (the guy I got helping me with my site) and he said I outta put the “First” and “Latest” buttons back. I told him I was going to make custom buttons and didn’t want the navigation area to get to cluttered, but he still insisted that they should return. So you guys can thank him for that. 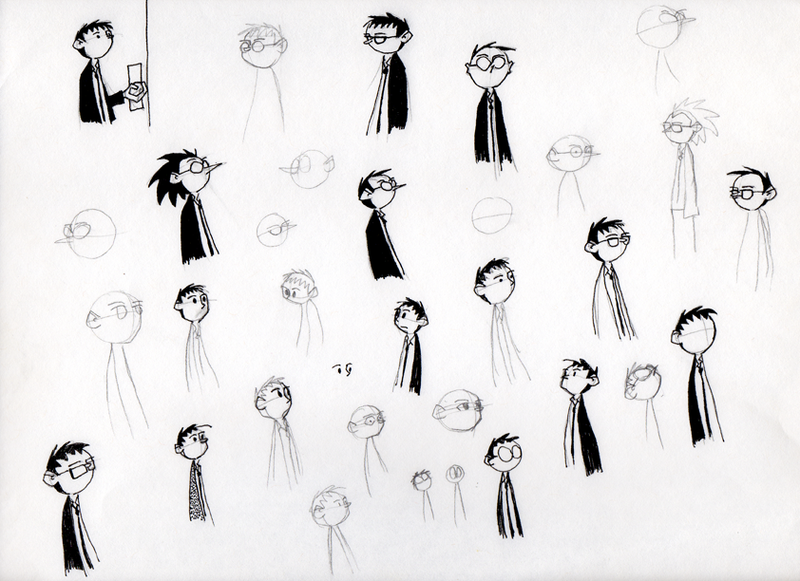 Some of these designs look to me like Calvin (of Bill Watterson fame), if he were all grown up. I look at the one in the bottom and see lots and lots of Harry Potters. And a few anonymous Hogwarts students. I love how the guy still looks a lot like bug because of the suit. Going against the grain here but TURTLE. Also the penguins are cool, but yay, a Turtle. So underrated. Your style kinda reminds me of Invader Zim.